Traditionally poultry for the rich, squab boasts tender, rich tasting dark meat, and a fatty skin that cooks up to marvelous crispness just like duck. These little birds are known for their exceptionally ample breast meat. They are relatives of common wood pigeons (those who swarm in parks and deface monuments) and mourning doves, but the latter two are never substituted, as their eating characteristics just don’t match. 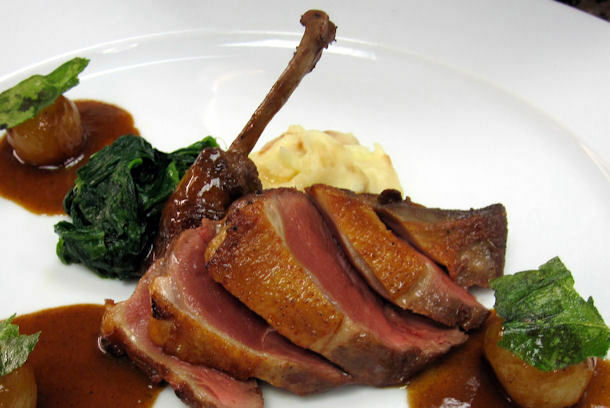 Interestingly, squab is one of the only (if not the only) type of poultry commonly and safely served rare. The birds are harvested at 4 weeks of age, old enough to have developed their full body size (and all that succulent meat), but not enough to have ever flown, another contributor to their exquisite tenderness. 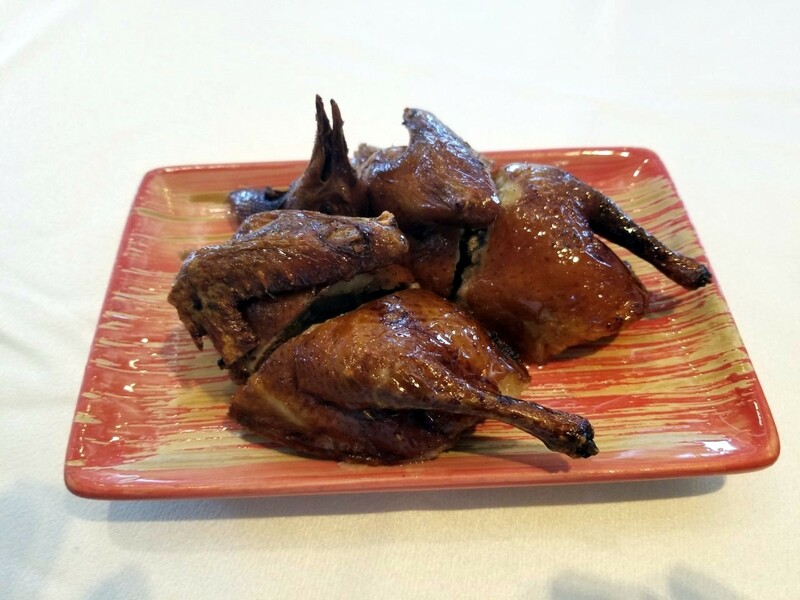 Among myMEGusta’s favorite squab preparations are those from France, from China, and from Morocco. Paris’s finest restaurants all serve squab, sometimes the breast meat only, and always served rare or medium rare, with the rich and crispy skin still on, or sometimes roasted whole. For recipes requiring quick cooking, the legs and wings remain too tough, and find other uses in the kitchen, for example, in fine consommés. In China, particularly at celebratory banquets, you’ll find roast or braised squab, an expensive treat. The whole bird gets marinated, sometimes twice (once for flavor, once for the skin), then quickly roasted or deep fried so that the skin becomes like shiny mahogany but the meat stays juicy, then it is served with five spice salt and lemon. A stellar version is to be found at East Ocean Seaview Restaurant in Hong Kong (Kowloon side). Sometimes the birds will be braised in rice wine/soy sauce/anise, and these can be found commonly at a Chinatown grocer. 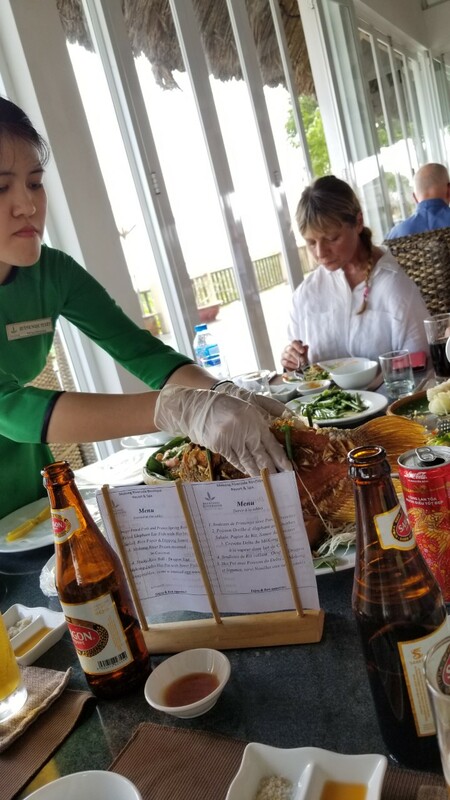 Another classic Chinese preparation is to braise the birds, mince the meat, then mix it with additional accoutrements and serve with lettuce cups and hoisin sauce. 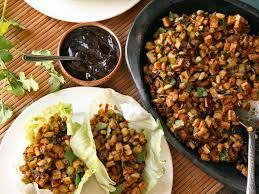 These days, chicken is substituted in most restaurants, also making a delicious dish, usually offered as an appetizer. 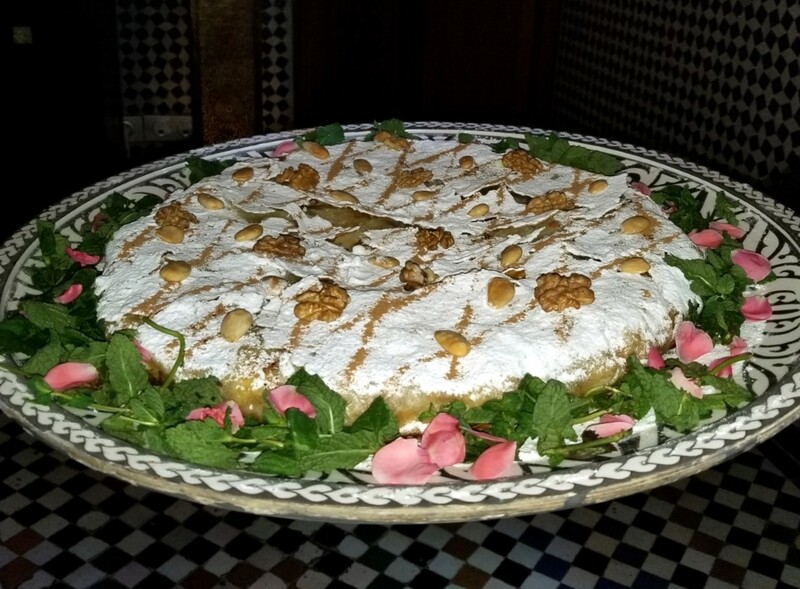 One of Morocco’s national dishes is bisteeya, layers of filo dough encasing cooked squab plus seasonings and, usually, eggs, dusted with confectioner’s sugar and nuts or cinnamon. One variation, because of the cost of squab, is chicken, and dessert bisteeyas are also popular. 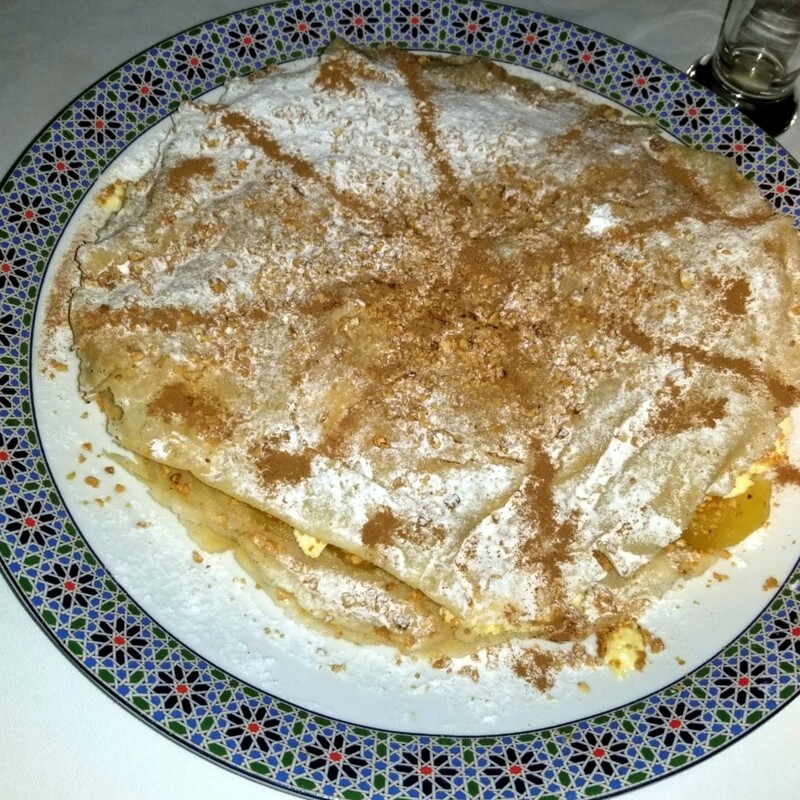 On a recent visit to Fes, myMEGusta enjoyed it twice in one day: Traditional (with chicken and egg) at Palais Amani for lunch and fruit filled for dessert at Palais Faraj. 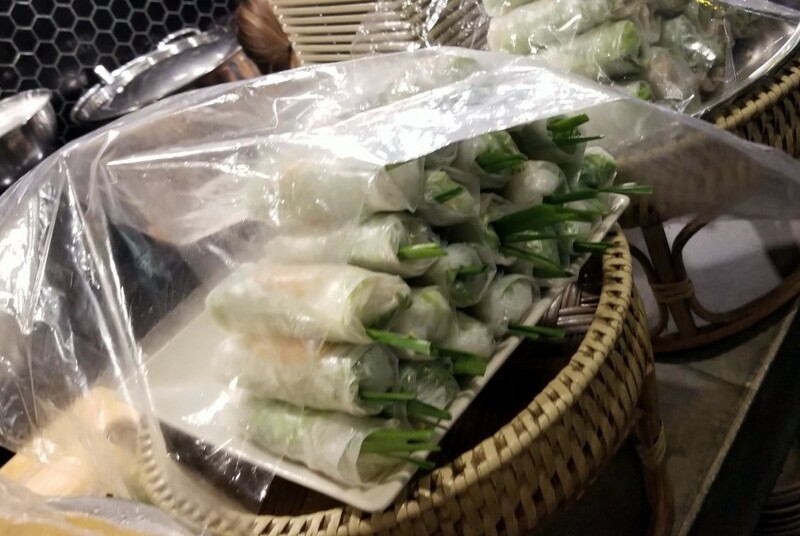 And what’s better to celebrate on the first day of the season than with spring rolls, delicious rice paper wraps with goodies inside, often dipped in a piquant soy based sauce, or a spicy peanut puree. 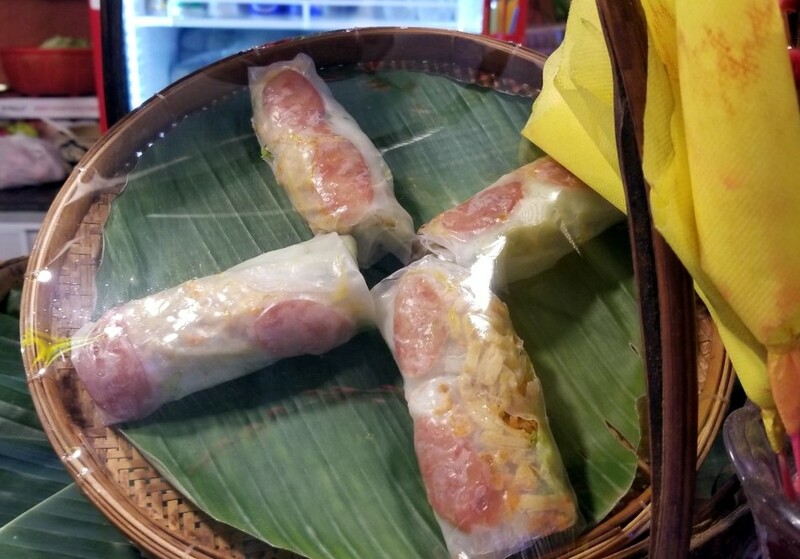 Long time readers of myMEGusta may recall a 2014 posting about these treats, as well as egg rolls, perennial Asian favorite foods. 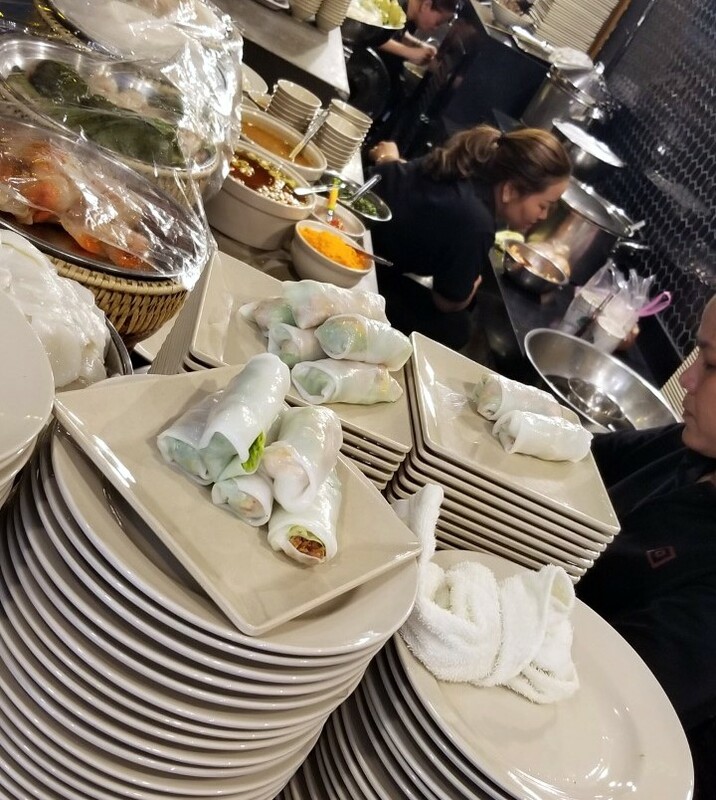 On a recent voyage to Vietnam, spring rolls turned up all over the place, from street food stalls (which we did not sample) to lovely Vietnamese restaurants (vetted for food safety by the tour operators), each more delicious than the next. One side tour was a sampan excursion up the Mekong Delta from Saigon to the inland rice paddies and villages. 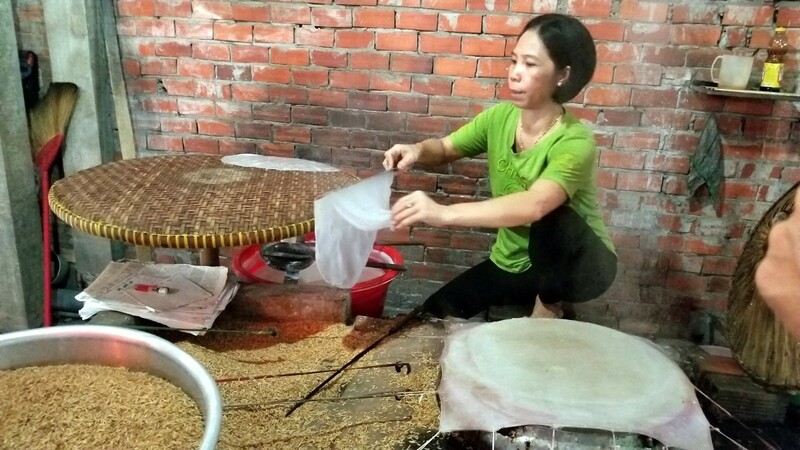 In one little shop, entrepreneurial locals had gathered authentic artisans to demonstrate local food crafts, from candy making to real puffed rice (and old fashioned popped rice bars, somewhat like Rice Krispies Treats with flavors like ginger or durian). There was even a still (not operational) and local fire water (which we declined). 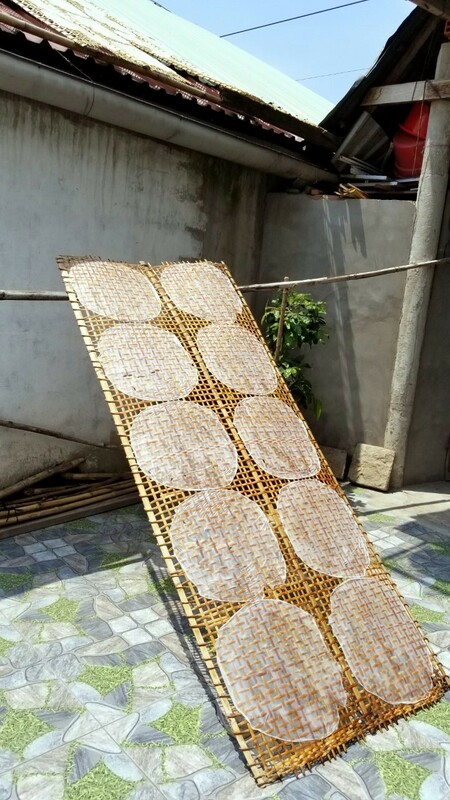 The standout was an elegant local lady whose deft skills allowed her to produce prodigious quantities of rice paper, or spring roll wraps as we would call them, and we watched as she transformed rice gruel into translucent pancakes, then drying in the sun. 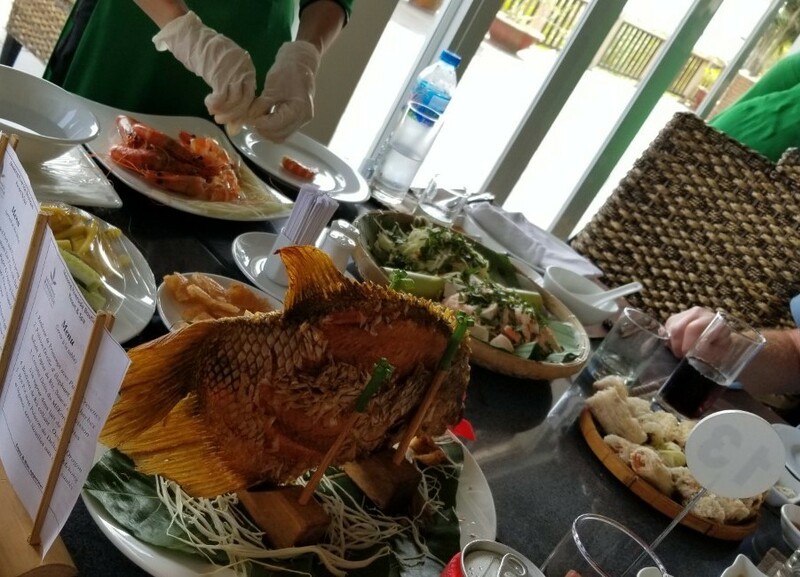 The favorite was part of a “local” lunch enjoyed at a resort on the Mekong River Delta, as we watched the skilled staff peeling freshly steamed shrimp and portioning deep fried river fish off of a vertical holder (according to the local superstition, to ensure that our boats would not go sideways and sink), with fresh herbs and greens into the rice paper wrappers. 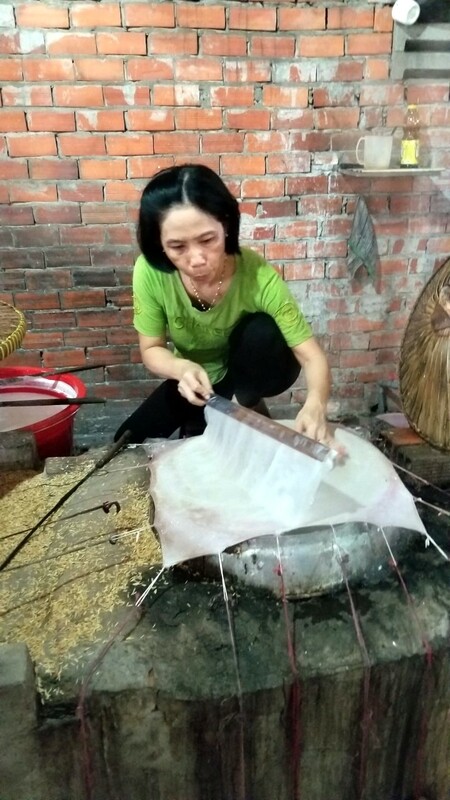 We would not encourage anyone to try to make rice noodles at home – it’s a real art and a skill – but the wrappers abound at Asian markets, ready for us to make our own wraps at home. Hint: If the “paper” is too dry/papery, just wet your fingers to moisten them back to pliability and off you go. Sunday, January 6, is Epiphany, commemorating the day on which Jesus met the Three Kings, considered the official end of the Christmas season. 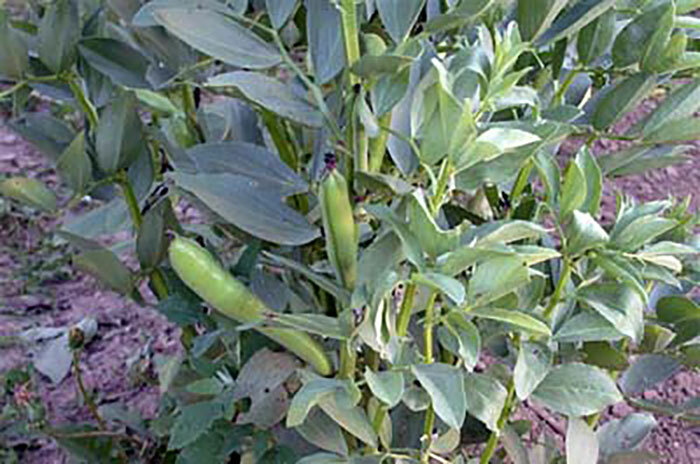 Fava beans historically had a role in the Gateau de Roi, or King’s cake, traditionally served from Epiphany Eve to Mardi Gras, carnival season. Each cake contained a dried bean, the legend being that whoever got the piece with the hidden fava would be blessed with good luck, that this person must buy the cake next year. Today, the bean is usually replaced with a ceramic baby, so this more likely translates to good luck to the recipient’s dentist. 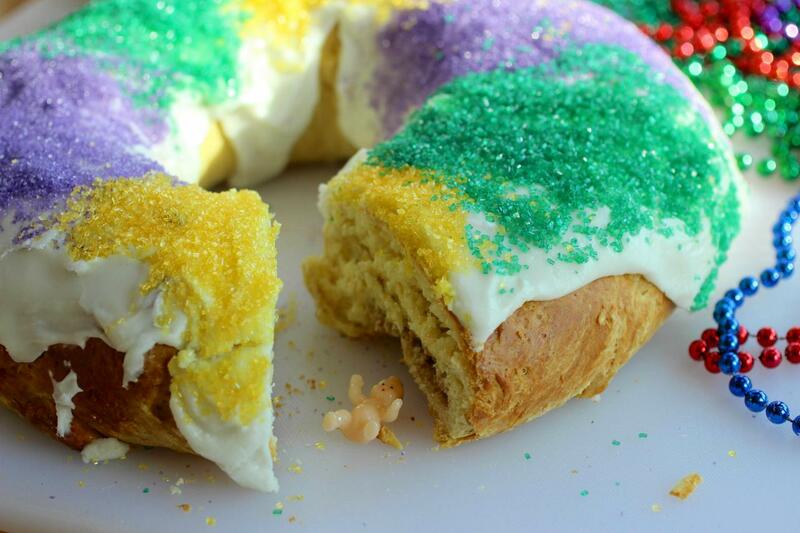 The cake itself, thought to have been introduced to New Orleans from France in 1870, is wildly popular in New Orleans, garishly decorated in purple and gold. But, we digress from these delicious legumes. 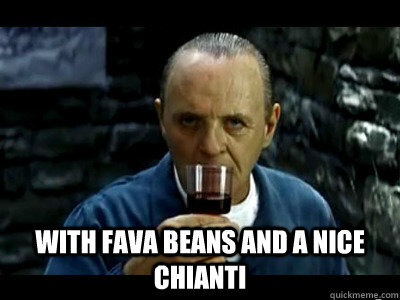 There’s more to them than being a favorite of Hannibal Lecter. One of the oldest food crops in the Old World, fava beans are a major crop and culinary favorite in Morocco, where myMEGusta recently visited. 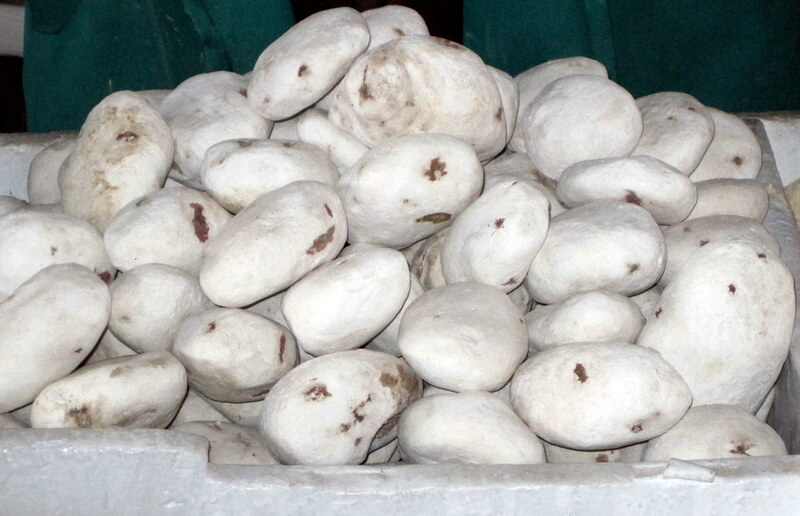 Available fresh in the markets, they are most frequently enjoyed from the dried form, made into dips and soups. 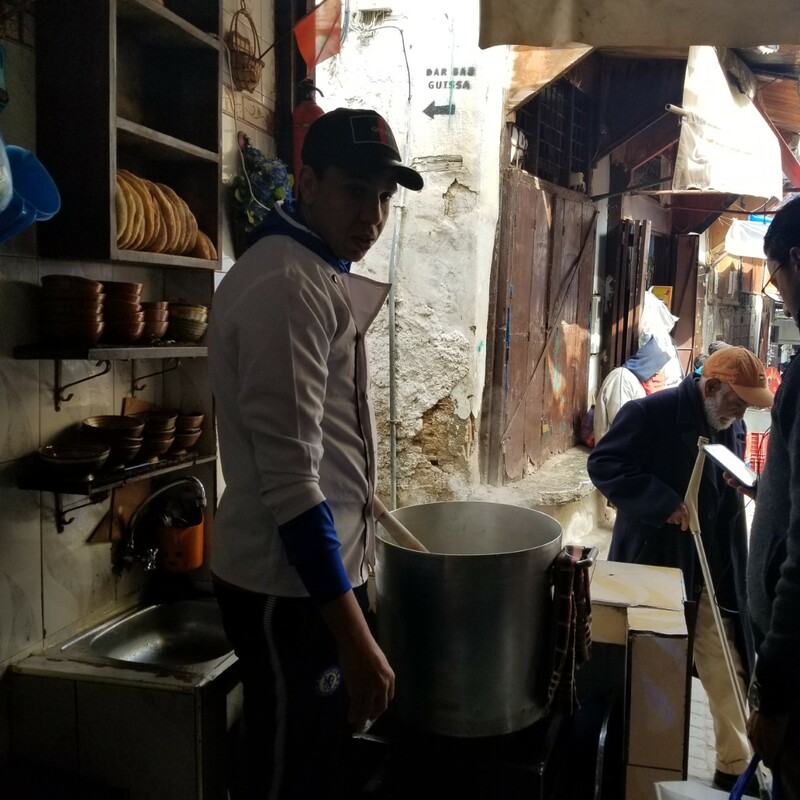 On a visit to the Fez Medina, we had one of the trip’s culinary highlights, a steaming fava bean soup garnished with garlicky olive oil, made in a stand that has been run by a family for generations. One beautiful sight in Morocco was the acres and acres of olive tree plantations, many with fava bean plantings among the trees, laden with fruit in December. Also known as broad beans, favas were the type of bean used throughout the Old World before explorers brought pea beans, cannellini beans and all the rest back from the Americas. Yes, even cassoulet! 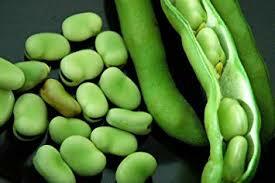 Fresh fava beans can occasionally be found in supermarkets, and are something to look forward when spring arrives. Probably not, but there are interesting exceptions. In some cases, like live shellfish, the provenance – exactly where caught, by whom and when – is noted on a tag. Copps Island Oysters purchased at the Greenwich CT Farm market come with such a little tag, even if you’re only buying a dozen. 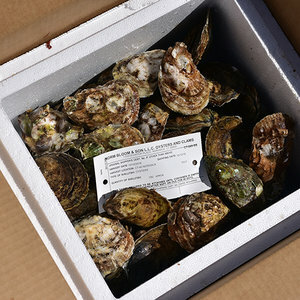 (Great oysters, by the way http://www.coppsislandoysters.com ). 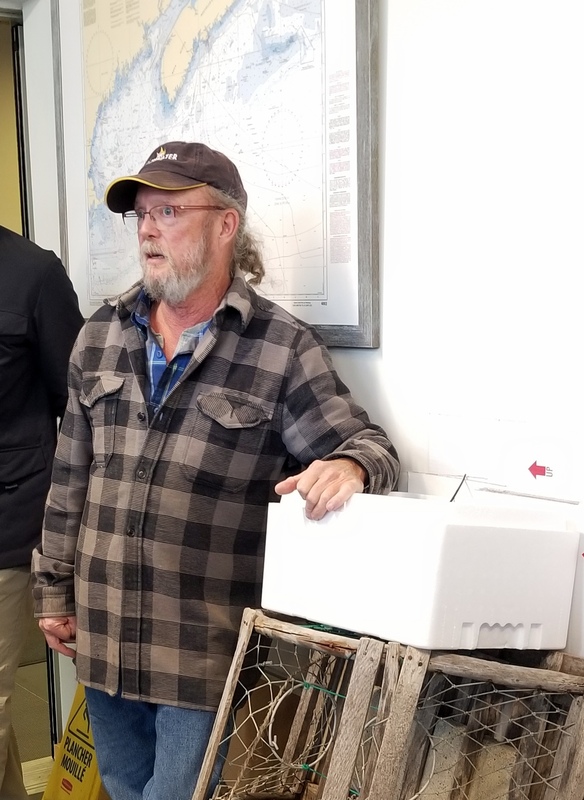 The proprietor explained how the lobster industry works: very entrepreneurial, potentially dangerous, and most definitely not for the faint of heart, including when rubber banding those claws. Who knew, for example, that the pots have to be tended daily, rain or shine, snow or squall, to harvest the creatures and bring them to the pound. There they are kept healthy, and live out their lives until being shipped out in the leaner months when fishing is either not possible or productive enough to keep up supply to stores and restaurants. Or, that lobstermen (and they are mostly men) keep mum on exactly where they have found where the crustaceans like to congregate (and go into traps), or their exact catch. It’s almost like the white truffle hunters in Italy, except that no dogs are involved. On a very different cruise last spring, myMEGusta visited Bahia Solano, Colombia, a sleepy fishing village on the Pacific Coast, extremely rustic, but with a claim to fame as a tourist resort: not exactly like Puerta Vallarta with luxury hotels and great wine lists, but simple inns catering to serious sport fishermen (one website calls them “adventurists”) and scuba divers, mostly from Europe. 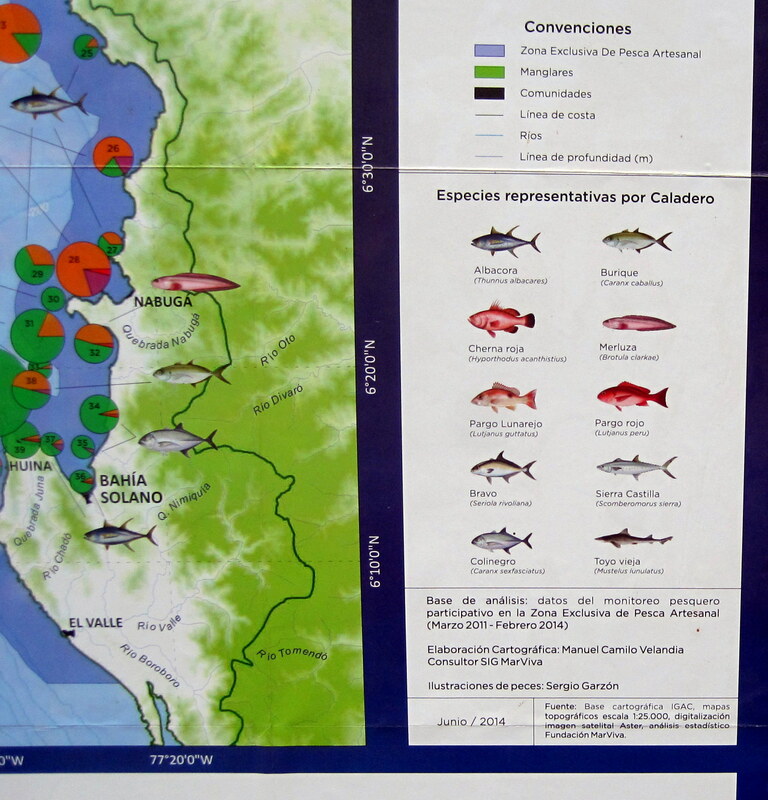 The other economic mainstay of the village is fishing within the legally designated artisanal fishing district, several miles off the coast where larger commercial vessels are forbidden to operate. The artisanal fishermen comply with regulations on the size of their boats, and their fishing methodology is limited to more traditional means than the industrial ships. 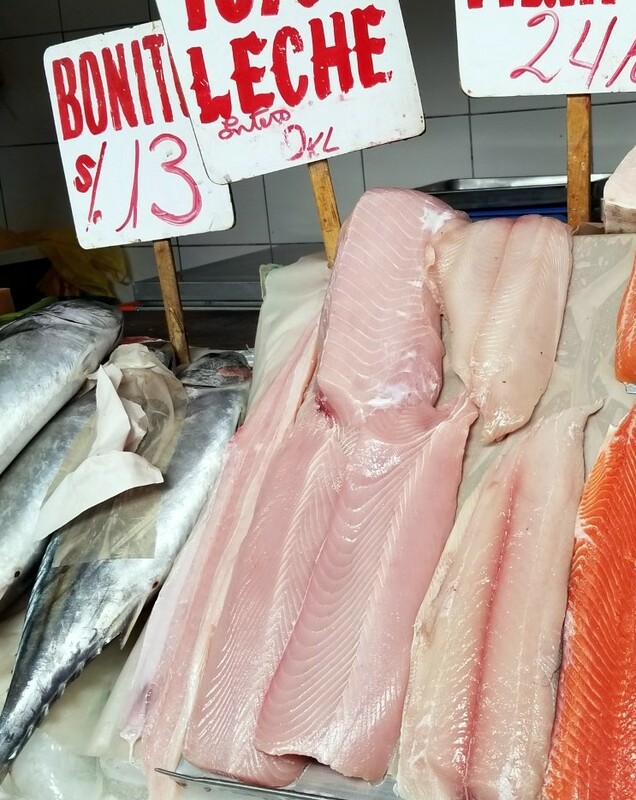 While they catch plenty of average fish, which is all consumed locally, their big win is the finer fish, red snapper, tuna, and such, which are sent to the coop, iced down, and then flown to markets all over South America and the world. 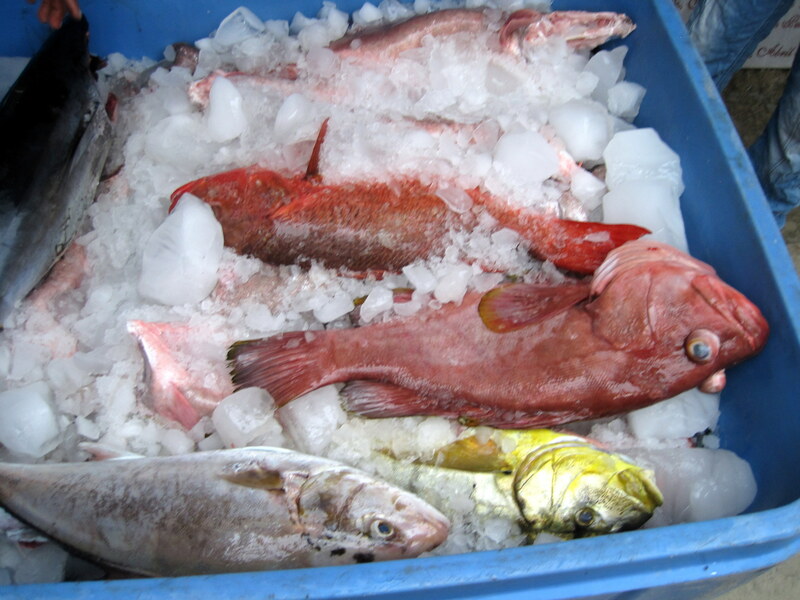 When you see/hear how hard all of these folks work to capture the sea’s bounty for us, particularly in cold, Northern waters or the choppy Pacific, never mind the logistics involved in getting the catch to us, the cost of top quality seafood makes very good sense! Roses are red, and. never mind about the blue violets, we are talking about rose wine. 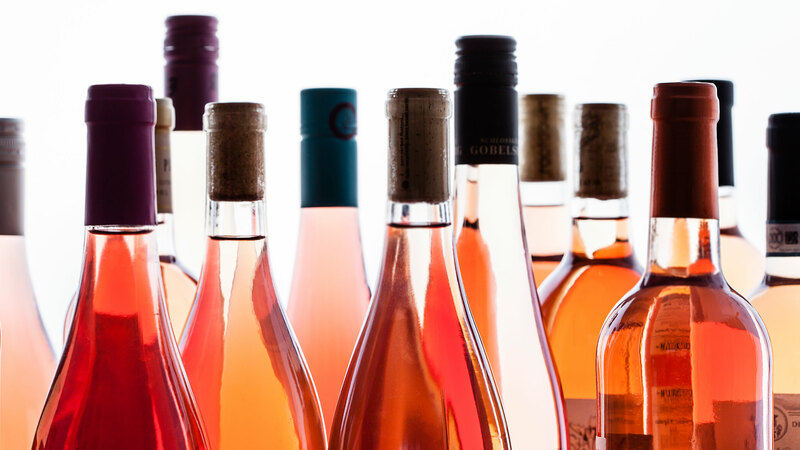 Most rose wines start as grapes with red pigment in their skins – Grenache, Sangiovese, Pinot Noir to name a few. The winemaker takes an extra step (literally, more on that later) to gently crush them, so that the skin pigment begins to seep into the juice. 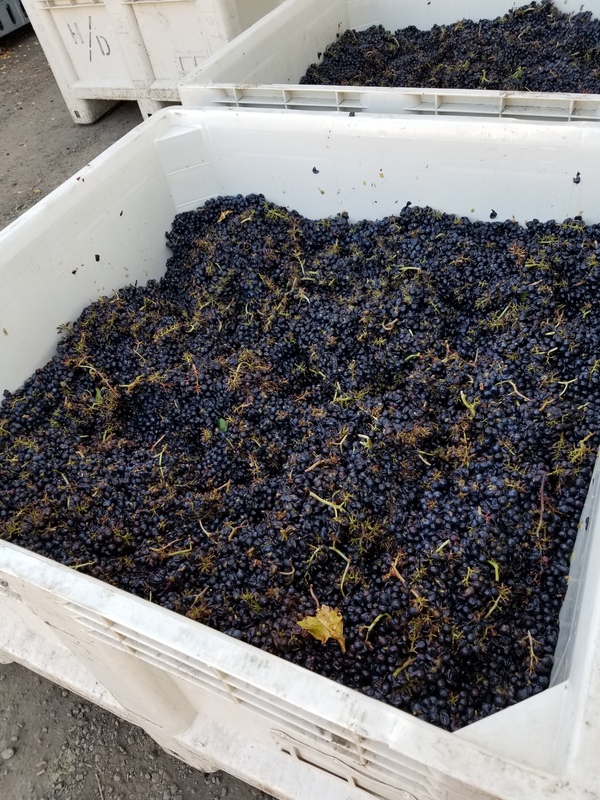 The timing is precise and closely monitored, and when the correct tint has been achieved, off go the grapes to the press, squeezing that pink must (unfermented grape juice destined to become wine) away from the skins before it takes on too much color. A little known fact is that all red wine is made from grapes with red skins and white interiors. The skin’s pigment colors the juice once the skins are broken, and red wine is then pressed after fermentation is over. 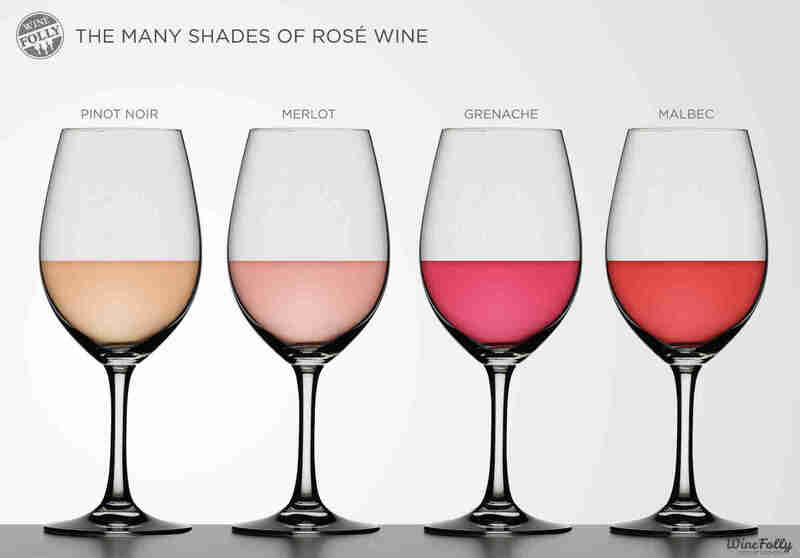 The exact hue of each rose, which means “pink” in French, is determined by the red grape variety and how long the skins sustained contact with the juices. If red grapes are pressed immediately after harvest, the juice is separated from the skins very quickly before it has time to absorb color. 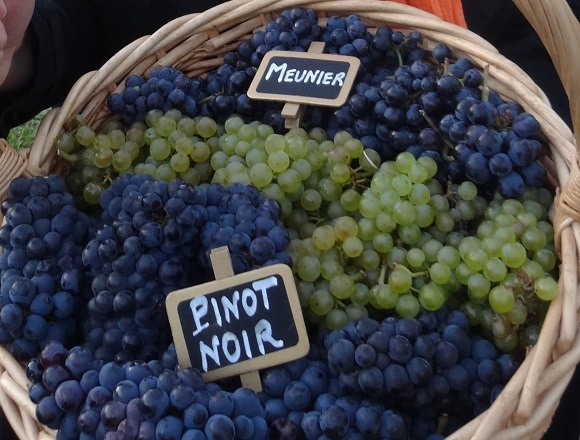 The best known white wine made this way is Champagne, with each house using its own blend of Chardonnay (white), Pinot Noir (red) and Pinot Meunier (red) grapes. Occasionally a rose is made from grapes that are not boldly red, but have some color in their skins. One of these, which myMEGusta tasted recently, was Rose of Gewurtztraminer, more of a novelty than a treat, truth be told. 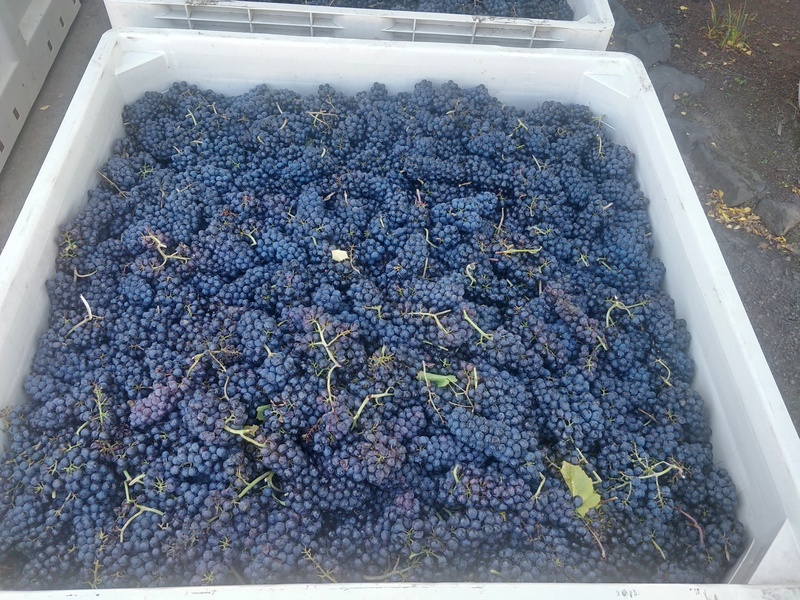 On a recent visit to the David Hill Winery (https://www.davidhillwinery.com/) in Oregon’s Willamette Valley, myMEGusta stumbled upon an interesting crate of red Gamay grapes, before and after they were “galosh stomped”, the winemaker’s process for breaking the skins of red grapes destined to be rose. Note the difference in the volume before and after, when the juices were starting to run and the grapes starting to settle into the bin. Their destination soon after this photo was taken was to have that pink juice squeezed off into a fermentation tank. Rose has always been a favorite of wine lovers, the traditional fine ones having been made by this painstaking process, and most of them quite dry, or fruity at best, never sweet. Then came the Swingin’ Sixties and our friends from Portugal came out with Mateus and Lancers, happy little roses that had a touch of sweetness and zero complexity, perfect for neophyte young adults as starter wines (and, if our parents were not wine drinkers, them, too). The White Zinfandel boom came a few years later, and rose became known as the wine for people who don’t like wine. All the rest of the roses, which had never changed from their original elegance, went swiftly out of fashion. It has only been a few years since people have started realizing that a well-made rose is a delicious wine, particularly in the summer time, although the good ones stand beautifully alone as aperitifs and accompany good food all year round. When I was a girl, all tuna came from cans, and most of it ended up in swathed (too much) mayonnaise. Sorry, Charlie. Wildly popular around the world, tuna thrive in all the major oceans, and are prized by fishermen for the top dollar they deliver. 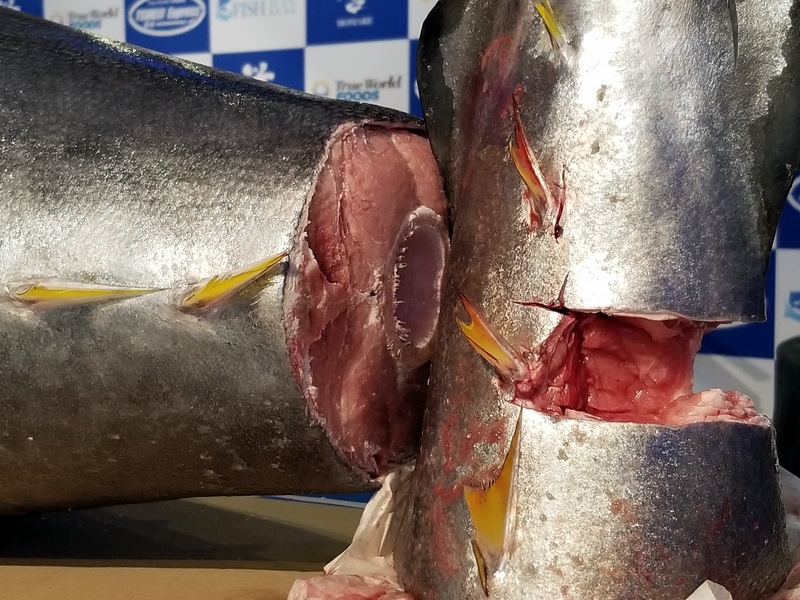 We don’t think of tuna as flying fish, but a large proportion of them end up in Tokyo’s Tsukiji Market, frozen and ready for auction before they get on the next flight to another destination. Tonnara is a means of netting the animals as they migrate after spawning; like salmon, the tuna are emaciated at that point, so they are kept alive in giant tuna ranches, and fed generously so that they plump back up. 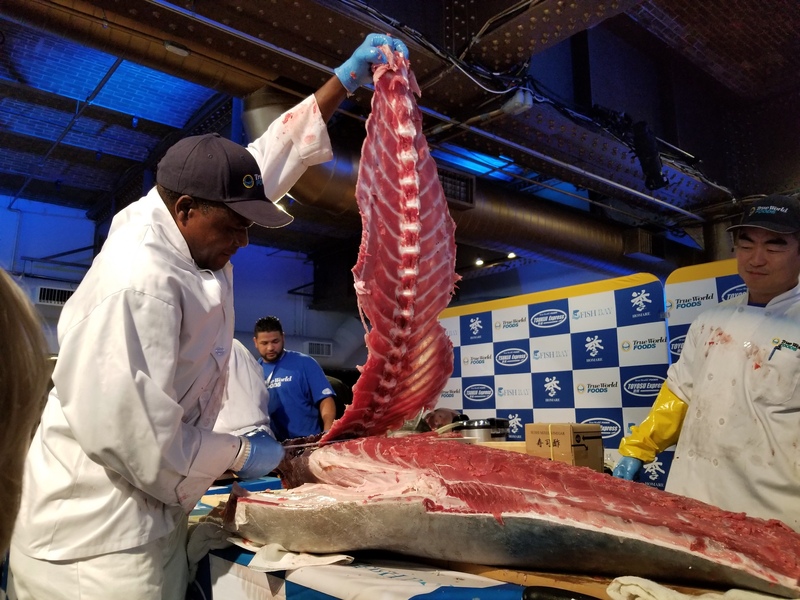 Note the pink color where this fish was first cut for evaluation; the fattier the fish, the higher a price it commands, and the more “toro”, super fatty tuna, makes its way to sushi and sashimi lovers. 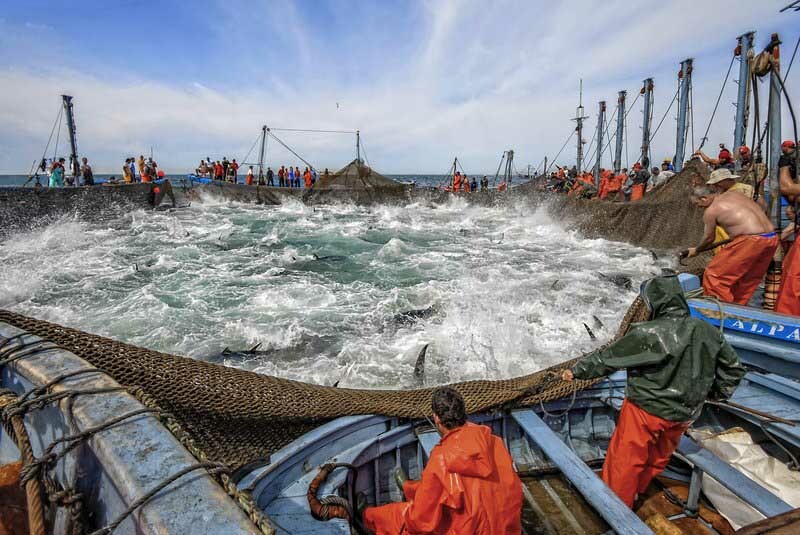 In addition to ranching, which is also done to fatten up tuna taken live by other means, there are also Bluefun tuna farms, similar to salmon farms, where the tuna are bred and raised to adulthood. This technology, known as closed-cycle, is in its infancy, but could promise a solution to preserving the species. 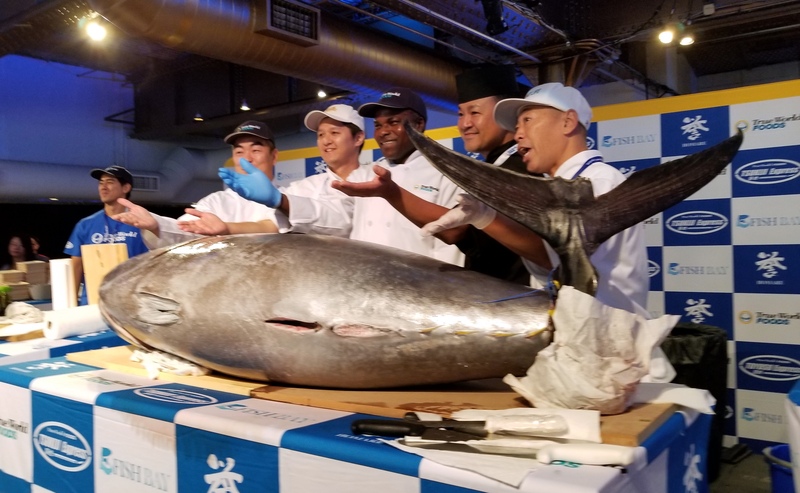 The major types of tuna are the prized, very fatty (by nature) Bluefin (Atlantic and Pacific species), Yellowfin (the most common type we find in American restaurants and markets), Albacore (most of which is canned), and the close relative, the skipjack (warm water, relatively small in size, also known as bonito). Once myMEGusta got past the canned tuna/mayo phase, she never met a tuna she didn’t like. 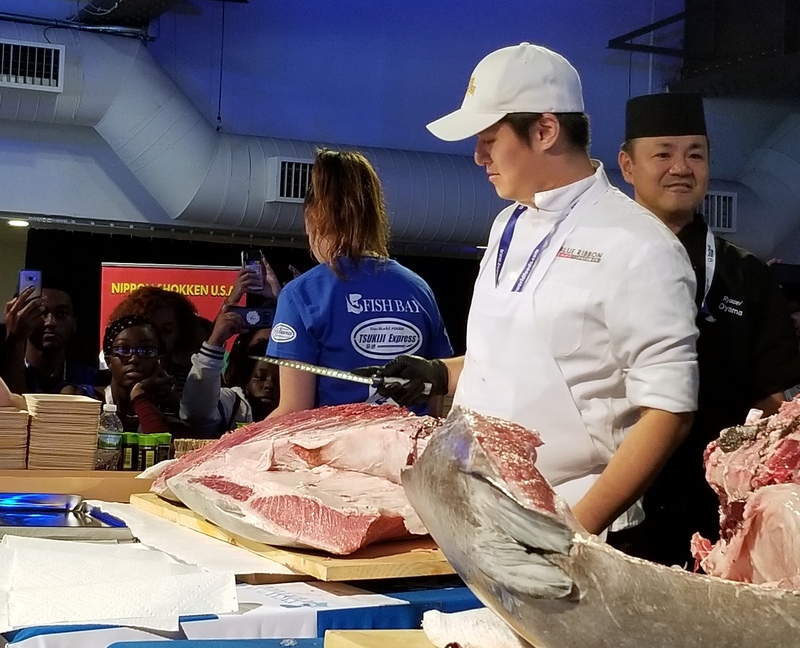 For a related article about Poke, a popular Hawaiian tuna preparation, and other raw fish tales, go to https://mymegusta.com/2012/04/24/no-pig-in-this-poke/ . Munich’s annual celebration begins with the tapping of the first beer keg, this year on Saturday, September 22, 2018, at noon. 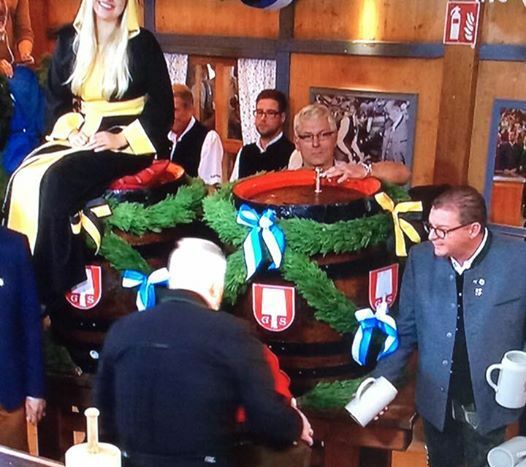 The cannons will sound, The Festival Queen will be seated, appropriately, atop a giant keg, the Mayor will strike the fateful blow, pour a mugful, and hand it to the governor of Bavaria. 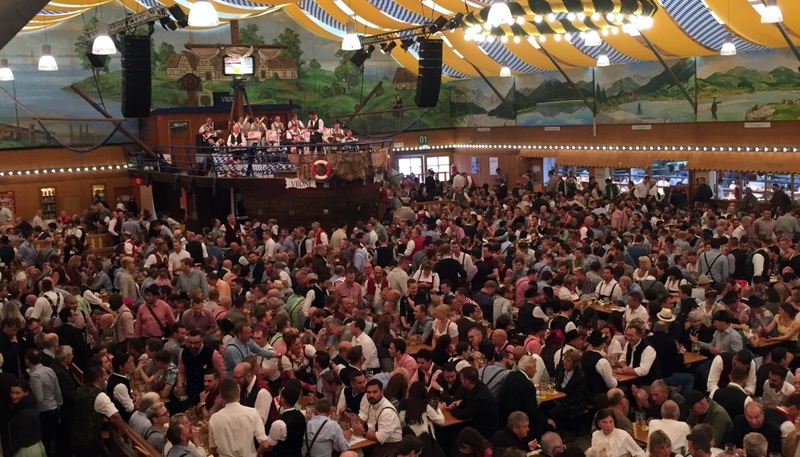 From then until October 7, revelers from around the world will consume oceans of wonderful German beer, sausages, ducks, chickens, whatever you can imagine in a giant park with tents constructed just for this party. There are big tents and small tents. Locals have their favorite beers, where they will reserve with their friends year after year; these are, no surprise, big ones, and they have food as well as their stellar brews. The smaller ones tend to specialize in a particular food, seafood or duck or wurst or pastry and, of course, also offer beverages. It’s not only a beer festival, it is also a chance to indulge in fantastic rotisserie chicken, those wonderful German sausages, really a massive eating opportunity, and a time to enjoy live Bavarian music. Construction of the “tents”, temporary structures, begins in the summer, this year in July, and they are hardly what one would find in a campground. Munichers and visitors alike don traditional Bavarian garments – lederhosen and knee socks (some just a woolen band) or, for the ladies, decorated blouses and dirndl skirts – and some will march in the Costume Parade. Dressing the part is not a requirement by any means, and garments at all price levels can be found all year round in specialized Munich boutiques. Some folks will bargain shop (The one timers? The tourists who will reuse once at a dress-up party on October 31?). Others will be sporting beautifully handcrafted garb that can last a lifetime. 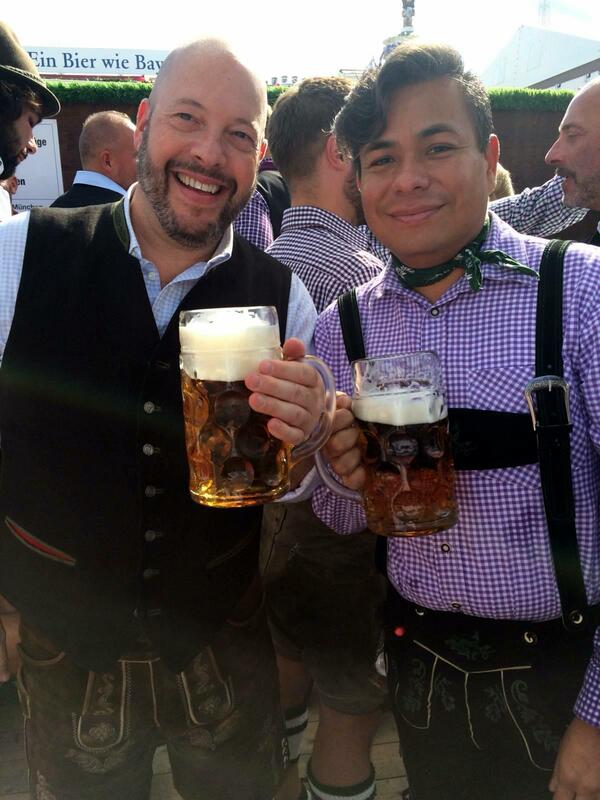 Really serious Munichers will pull out their outfits for other beer festivals throughout the year, or any occasion that warrants being in old fashioned attire. The party stared in 1810 as a celebration of Bavarian Crown Prince Ludwig’s marriage to Princess Therese von Sachsen-Hildburghausen, and ran a full week. 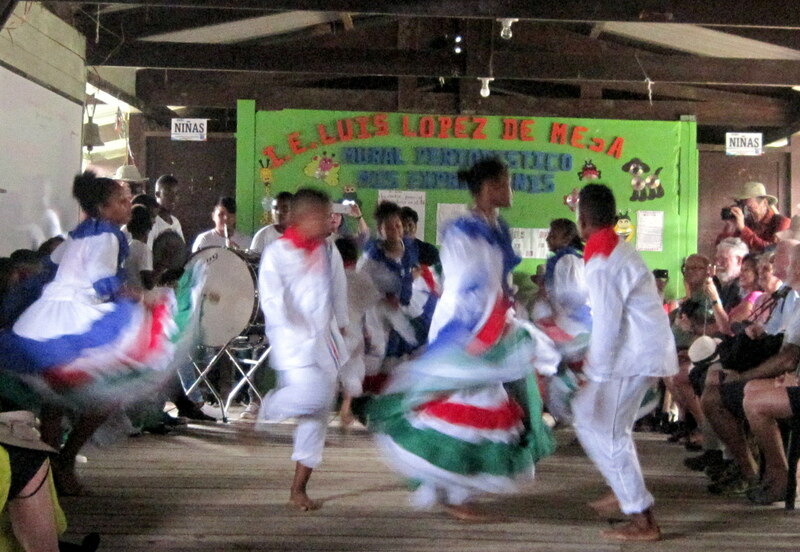 The event was so beloved that it was extended little by little, and later moved to September (but always ending in October) simply because the weather was more cooperative for revelers partying in tents. Side note: Ludwig I was the grandfather of the notorious Ludwig II (also known as Crazy Ludwig or the Swan King) whose tastes for elaborate castles and the fine art of opera approached bankrupting him. Ironically, attractions like Neuschwanstein (on which the Disney logo was modeled) are now among the most lucrative of all German tourist attractions. Oktoberfest travels around the world, and is a fabulous excuse for an evening of good company and feasting on Bavarian specialities, as myMEGusta did recently with friends at the Rock Center Café in New York. If you have a chance in your city this year, try it! Recently, one farm market had dozens of baskets lined up like a little Red Army, some of them full of shapely berries with a slight orange hue, others a potent maroon, probably from two separate patches planted with two separate varieties. The choice to come to this home was the maroon beauties. A happy memory of living in New Jersey (The Garden State) was picking strawberries at Stultz Farm http://www.stultsfarm.com , wisely planted with sequentially ripening varieties. Every year, a small, exquisitely sweet berry was among them. Sadly (not so sadly for myMEGusta, who got more of the superior berries), most consumers went for the larger, less fragile, easier to pick type. It is unclear where strawberries originated, as they have history both in the Western Hemisphere and Europe/Africa before Columbus sailed to the New World. Both natives share the same genome, but manifested very differently over time. Cultivated in Europe since Roman times, the strawberry we know and love today was bred in Brittany, France, in the 18th century, a cross between a native European variety grown locally and Chilean beach strawberries. Of course, strawberries are among the most photogenic of fruits, and therein lies a problem. Their beauty can be part of breeding that turned them from a succulent treat to Styrofoam monsters arriving by air. So, you have to be a little skeptical when they show up on a menu, no matter how wonderful the dish, way, way off season. That’s not to say it is impossible to get a good one flown in; it’s just unlikely, as the tough guys are among the prettiest and least flavorful. But, they make for wonderful photo ops all around the world in markets, whether Canada or South America or Europe or a nearby park on farm market day. A memorable dessert in Grenoble, France, was a simple plate of berries garnished simply with crème Chantilly (lightly sweetened whipped crème fraiche) at Pere Gras, a restaurant at a hilltop fortress, “La Bastille” with a view of the entire valley. In Europe, you’ll sometimes also find the old fashioned ‘fraises de bois’, woodland strawberries, achingly sweet and the size of your pinkie. 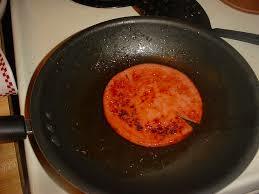 As a kid, I was always confused as to why some baloney was spelled bologna. Were they the same thing? Did you have to say bah-log-nah if that’s what the package said? Bologna, Italy, of course, is the home of this sausage. 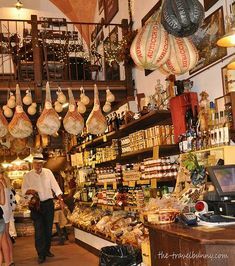 This old city even has the nickname, La Grassa “The Fat One” honoring its rich, meat based gastronomy. Located in Emilia-Romagna, the region is also the home of Lambrusco, that fizzy wine that was popular among college kids in the 1970’s, and rarely seen any more on any self-respecting table (or picnic, for that matter). As a side note, the Lambrusco that you get on the spot in Italy is a world apart, more complex and tastier, a perfect counterpoint to the sausages and other delicacies you get in the area. 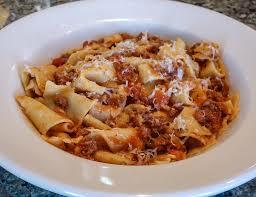 “Bolognese”, the rich, meat based pasta sauce we all adore, also originated here. A real “Bolognese” is not just a tomato sauce with some ground beef. Rather, it will have a slowly simmered blend of different ground meats (depending on whose absolutely authentic grandmother’s recipe you follow), possibly including veal and pork, and lots of finely chopped vegetables (carrots, celery, onion, garlic) and herbs, sometimes even a dash of milk, with tomatoes as minor players, not the overwhelming star. And, to be really traditional, you’ll serve that Bolognese with fresh egg-based pasta, perhaps fettuccine or in a lasagna, and, of course, include cheese in or on the dish. That said, nothing pleases myMEGusta more than a bowl of good quality spaghetti (the hard wheat kind, no eggs) with a dollop of this fabulous sauce. And, it’s not bad on spaghetti squash, either. 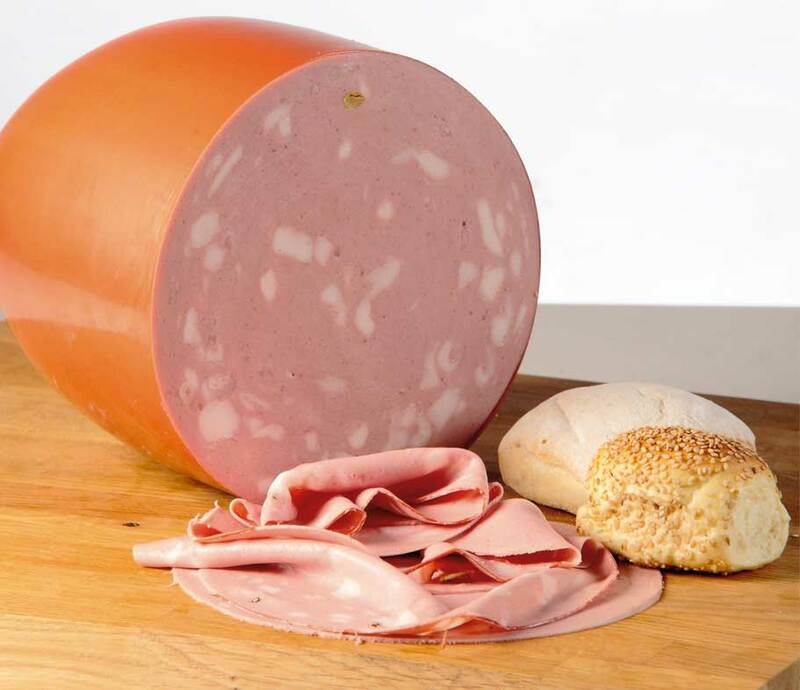 The ubiquitous baloney we enjoy in the United States is a descendent of Mortadella, recognizable by the fat cubes and pistachios dotting it. There are some very, very good versions of both of these, particularly if you shop for a good brand, some of which are of Germanic descent, or in a deli. Perhaps the old adage, “You get what you pay for” is really apropos here. I have fond memories of that most pedestrian of lunches, a baloney sandwich with neon yellow mustard on wonder bread. Baloney was such an early favorite of myMEGusta’s, that a favorite doll was named Joanie Baloney. Alas, JB was kidnapped one day by a big, mean dog that Daddy chased for blocks to no avail. A Saturday lunch treat for my late father was a fried baloney sandwich, and, for a kid in the 1950’s, it was a tasty twist on an everyday meat. 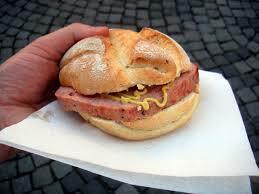 That said, a slice of really good baloney style sausage on excellent bread with tasty mustard is a really good sandwich, as exemplified by leberkase I cannot wait to have on my next trip to Munich. This morning’s passing of Anthony Bourdain reminded me of a recent “Parts Unknown” episode during which he enjoyed a local favorite, a fried baloney cube, in Newfoundland. And, I’ll bet it was delicious. 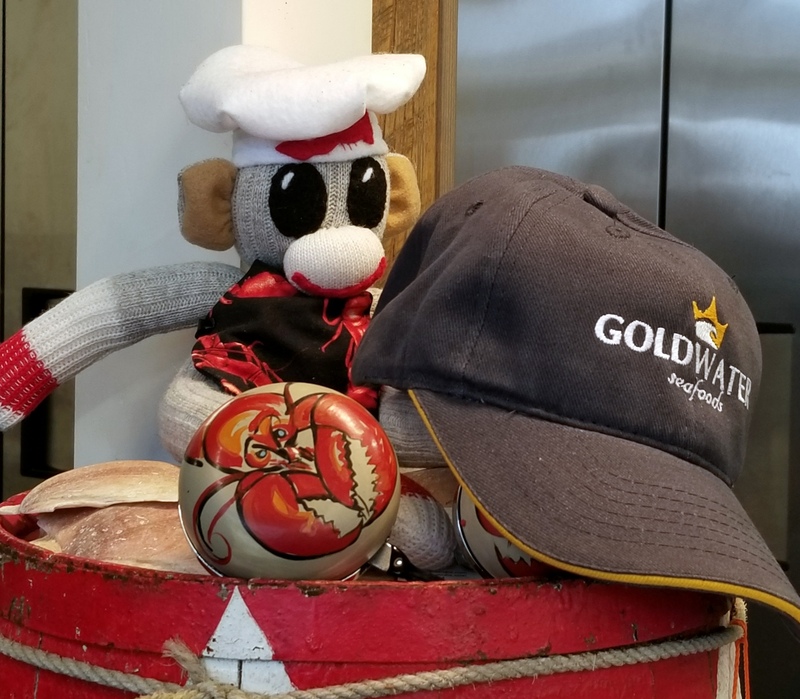 On the other side of the pond, potatoes became wildly popular, although the tubers were once believed to be as poisonous as the plant that springs from them. But cultivation spread far and wide once people realized how healthful, versatile and easy to grow the potato is. Italy embraced them in their gnocchi, Indian food features them in wonderful vegetarian dishes, the Scandinavians love them with fish dishes and stews; you name it. Then we have Swedish potato pancakes (with lingonberries! ), and innumerable other Northern European delights: potato sausage, potato salad, pierogis and vodka! 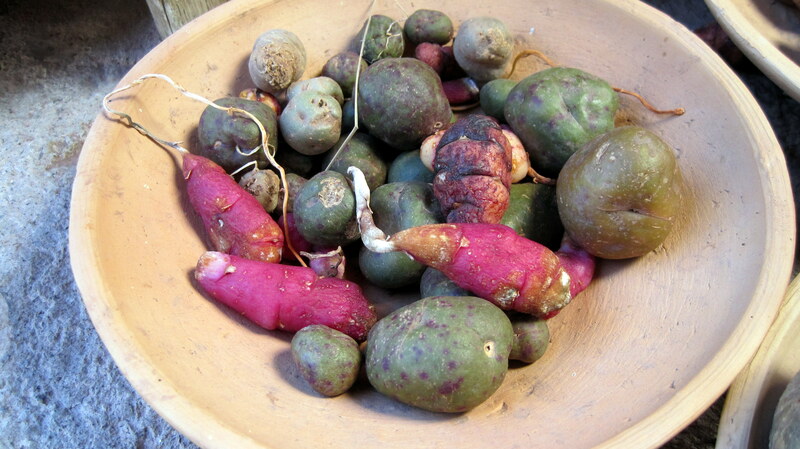 This has been quite a trip for a tuber from south of the Equator! 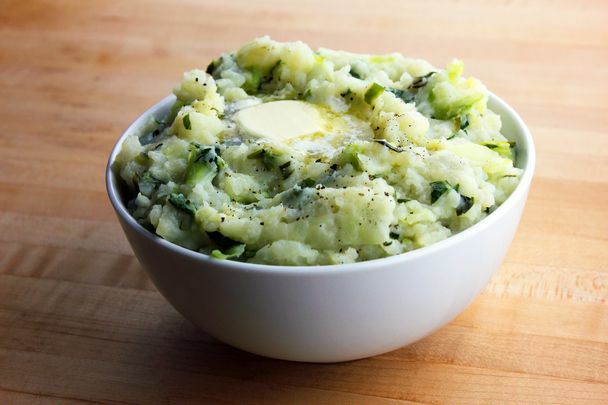 Unfortunately, the potato became such a staple that it caused the death of millions of Irish, whose rural poor had become totally reliant on the spuds which were devastated by a mold known as Potato Blight, resulting in a deadly famine in the mid-19th century. Making matters worse, those who subsisted on potatoes were planting only one variety, the Irish Lumper, so when the disease hit, it wiped out a massive proportion of what people depended on to live. On a happier side, the French embrace of the potato was more varied, and it never was a group’s sole source of nutrition, even in those areas where they became the most popular. And, we still look to France for some of the most delicious recipes, from the myriad kinds of French fries (all of which have distinct French names and classic culinary pairings, such as mussels with French fries), to pommes rissolees (browned in fat, never referred to as frite, or fried), to waxy potatoes steamed/peeled/drizzled in butter, to vichyssoise (cold leek and potato soup). Belgians also love them, always fresh and crisp in sidewalk kiosks (and served with mayonnaise for dipping). But, the traveling potato aside, the most exciting place in the world to find potatoes is South America, Peru in particular. 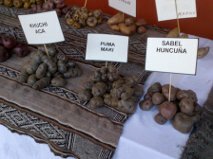 Over 4,000 varieties of potato grow there and elsewhere in the Andes, related but biologically diverse, and they have been the staple food of indigenous people for generation upon generation. 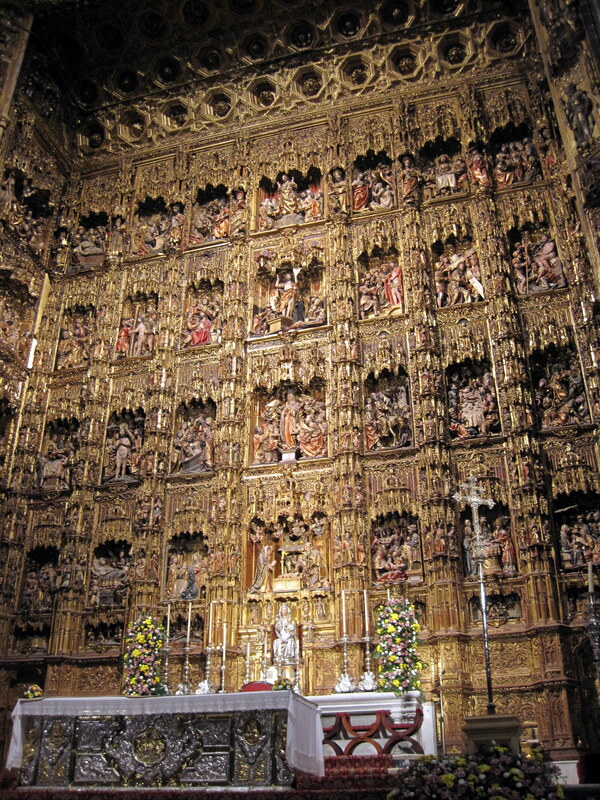 On one visit to Cuzco, Peru, myMEGusta stumbled upon a Potato Festival taking place in the halls of the Monasteria, a very fancy hotel converted from a religious institution. Some of them don’t even look much like potatoes, and certainly require different cooking techniques than tossing into an oven and baking. Potato preservation is different, too. 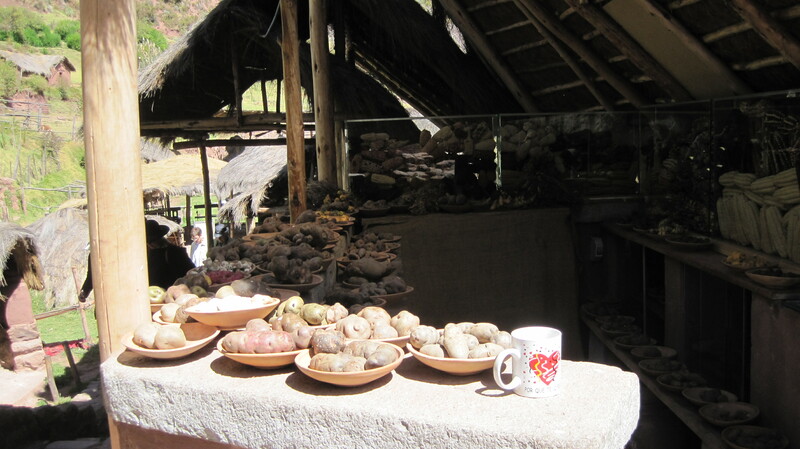 You find giant bags of dried potatoes known as chuno in the marketplaces, preserved for year round use in traditional dishes like soups and stews. Today, they are freeze dried to expedite the process.